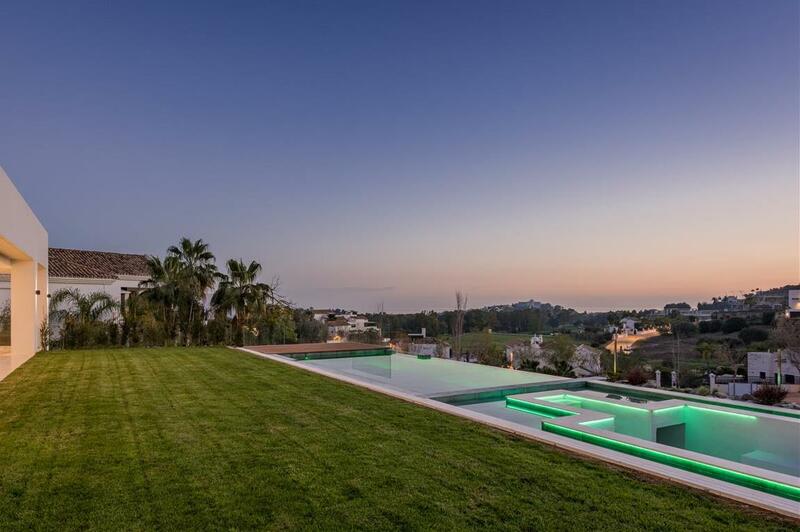 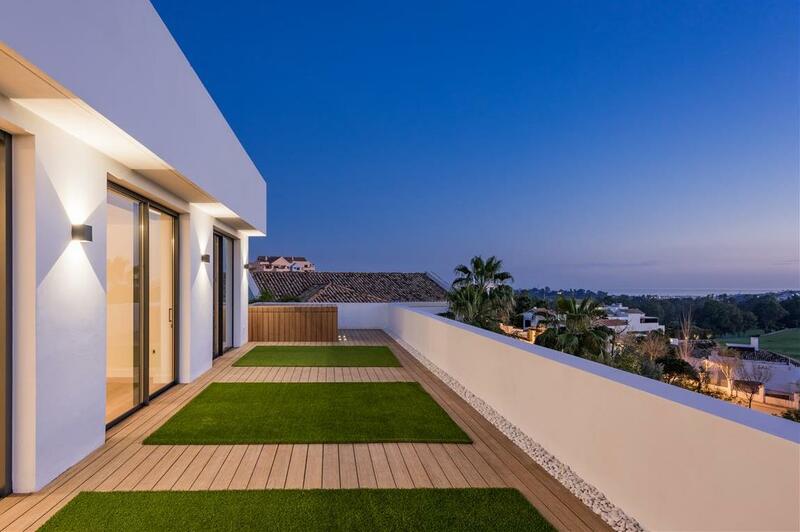 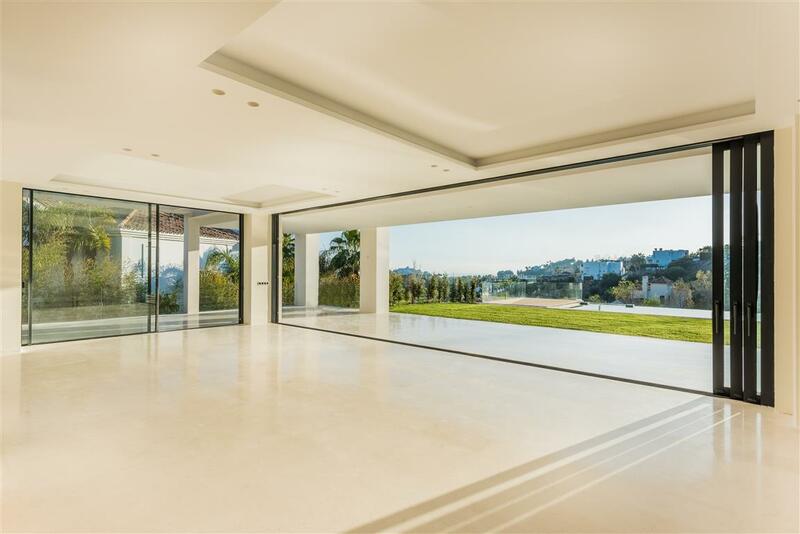 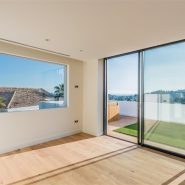 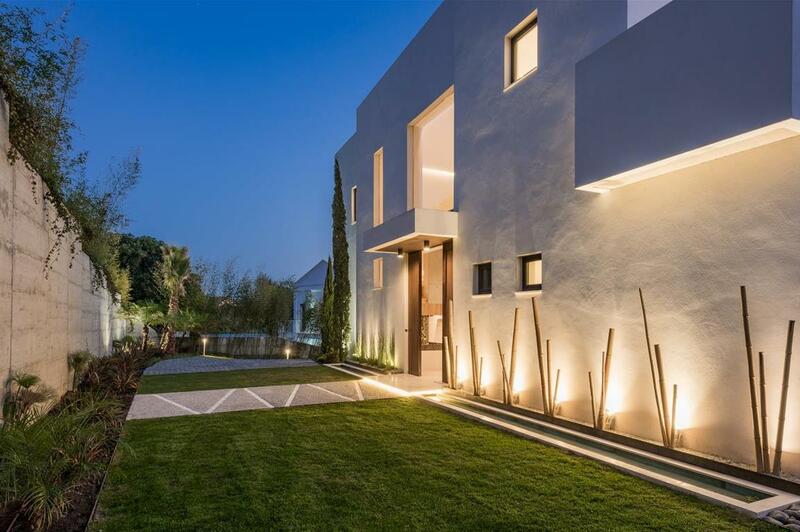 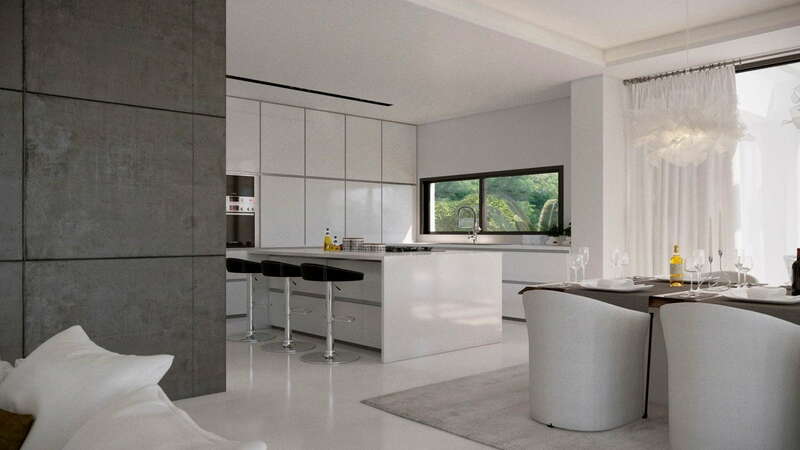 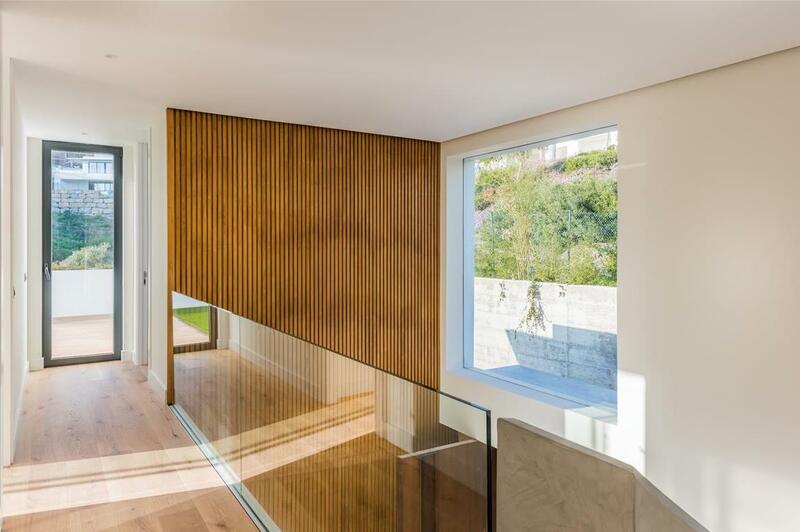 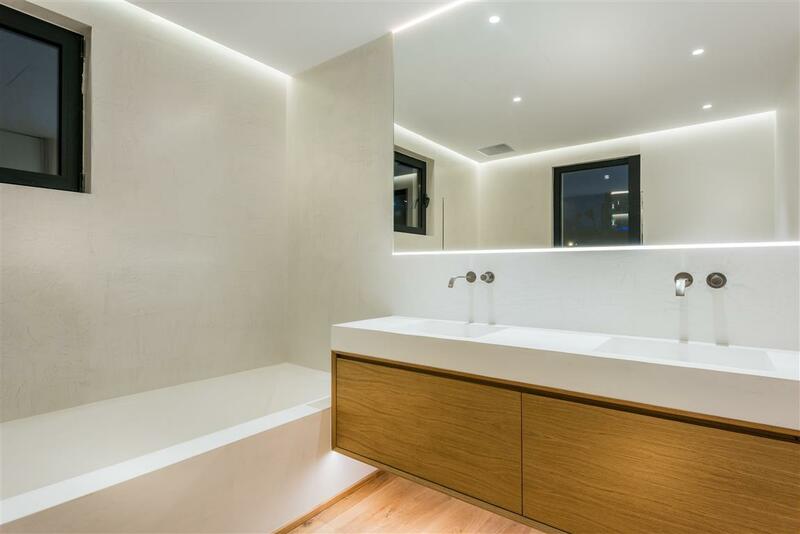 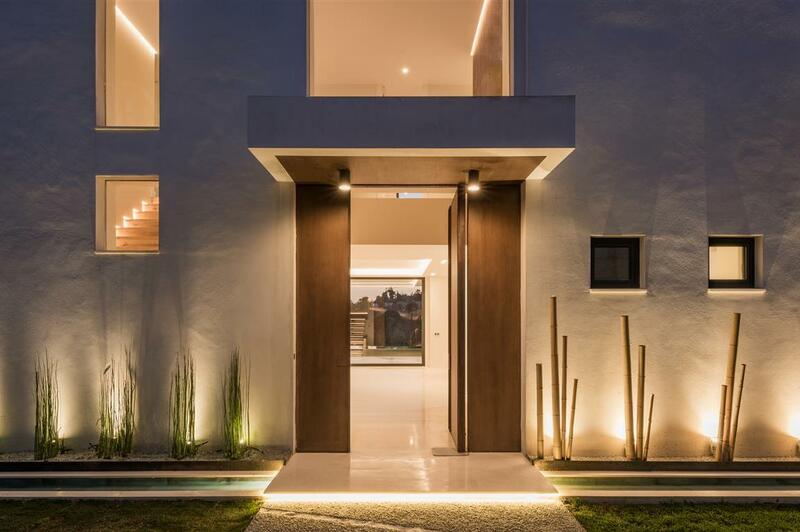 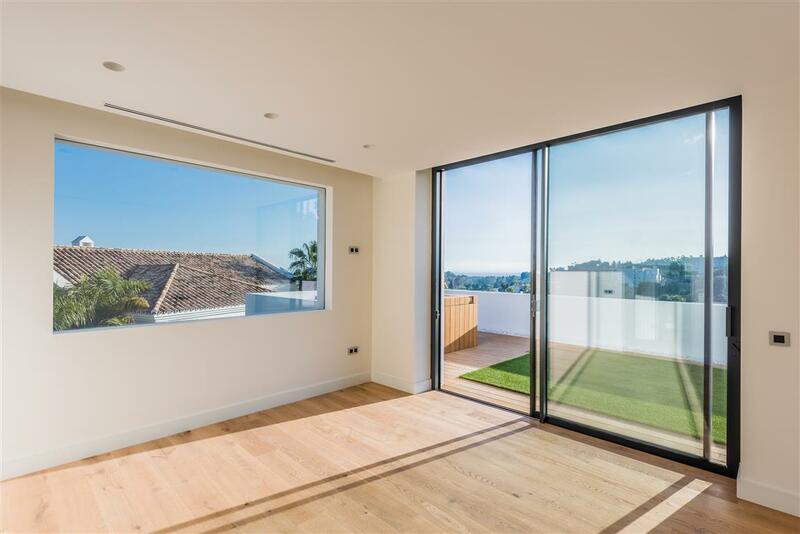 Recently finished and built to the highest standards this new modern 5 bedroom villa is ideally situated in La Alqueria /Atalaya Benahavis, one of Marbella´s most established residential suburbs, just a few minutes away from Puerto Banus and Marbella. 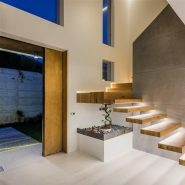 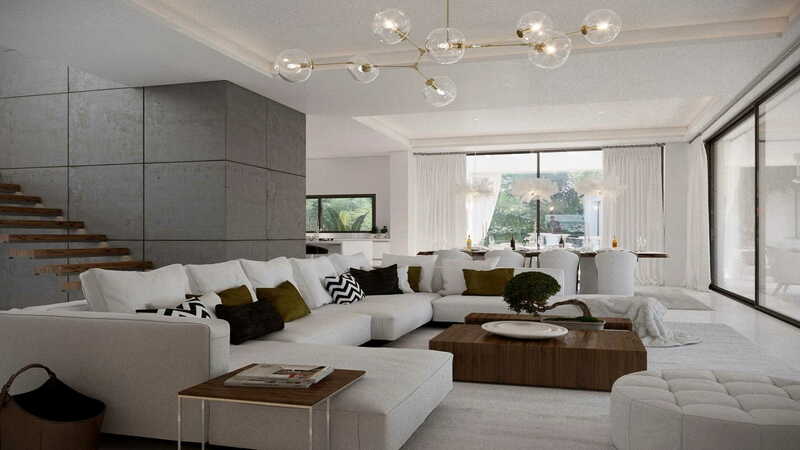 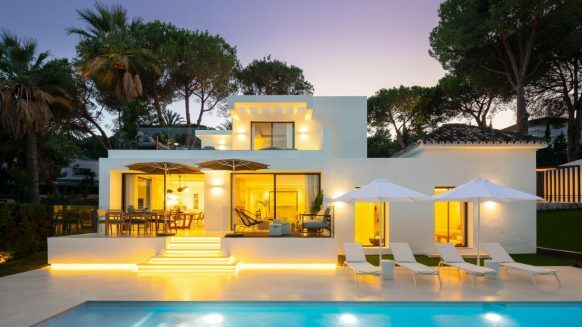 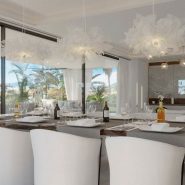 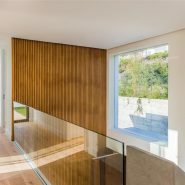 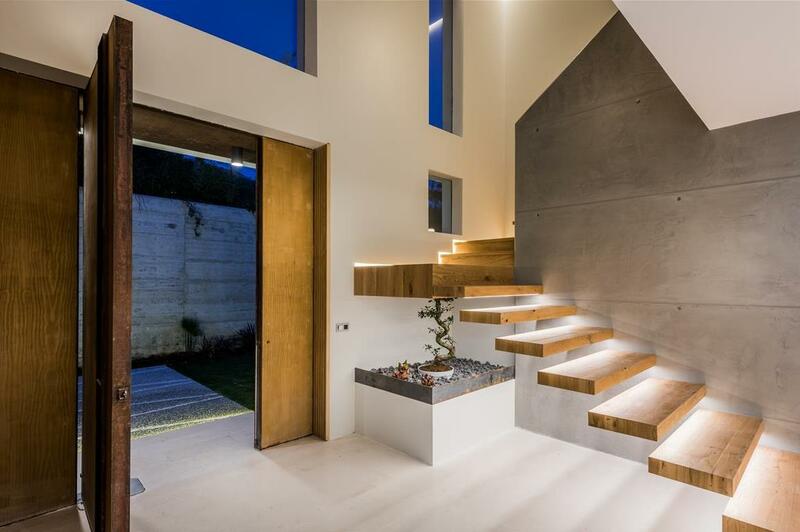 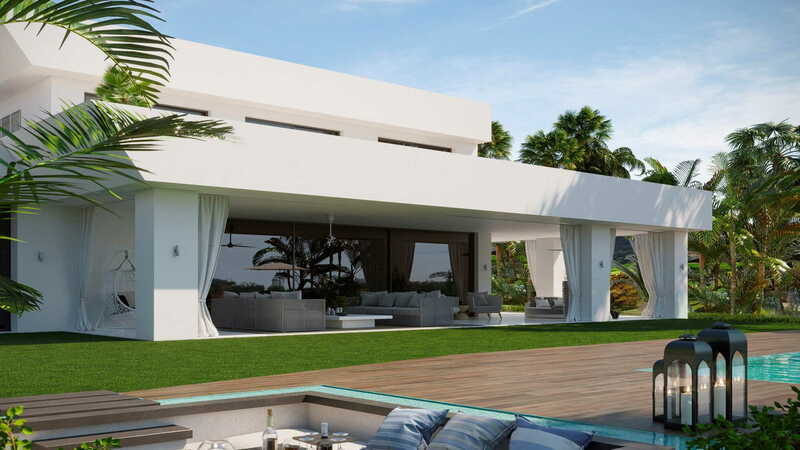 What we like about this villa is the abundance of natural light flowing in, achieved through modern architecture, open plan interiors, panoramic doors, glass features and balustrade. 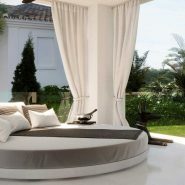 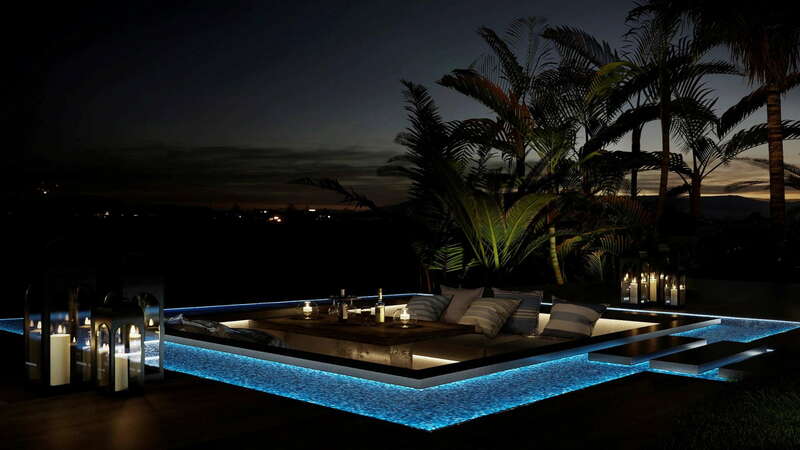 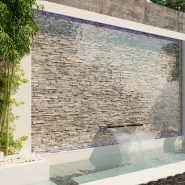 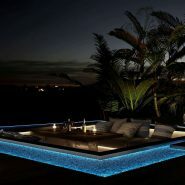 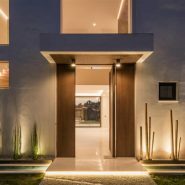 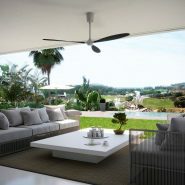 The sensation of in and outdoor living are more than ever connected. 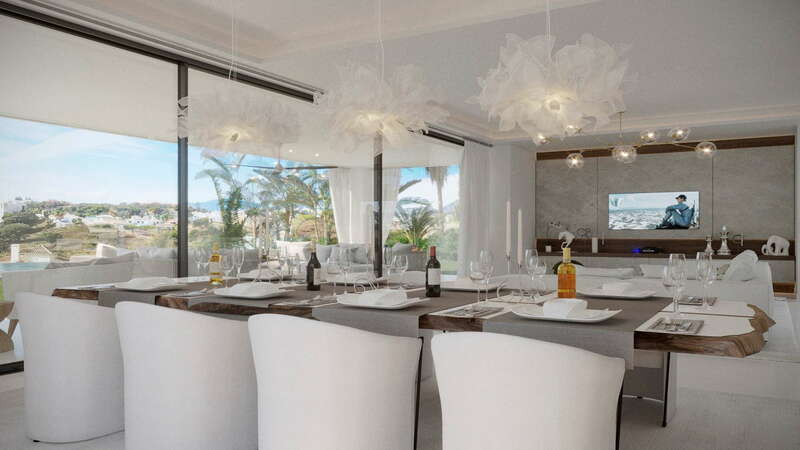 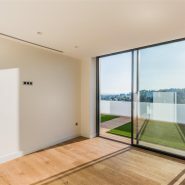 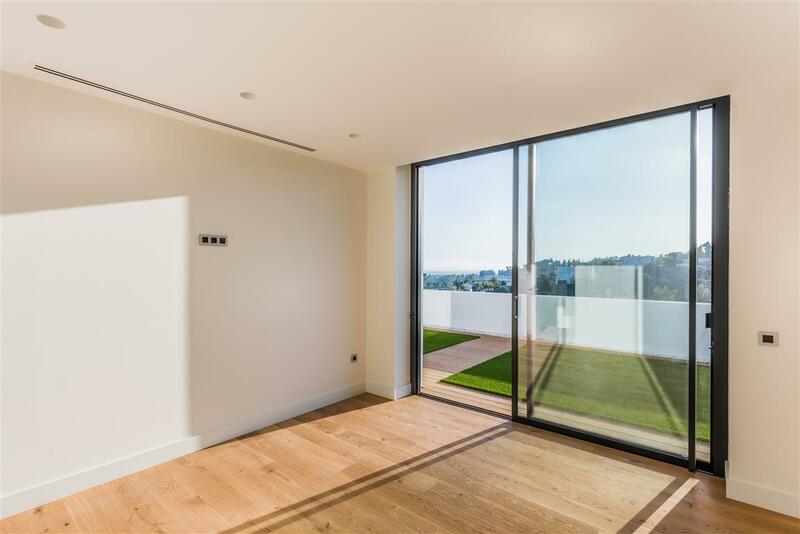 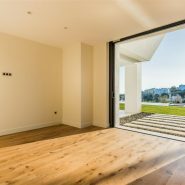 The main floor is a with bright living area and features huge panoramic sliding doors opening to a covered terrace with beautiful sea and golf views, leading further on to the large garden with impressive infinity pool. 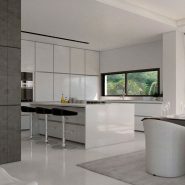 The kitchen is to be chosen by the new owners (budget set within the price). 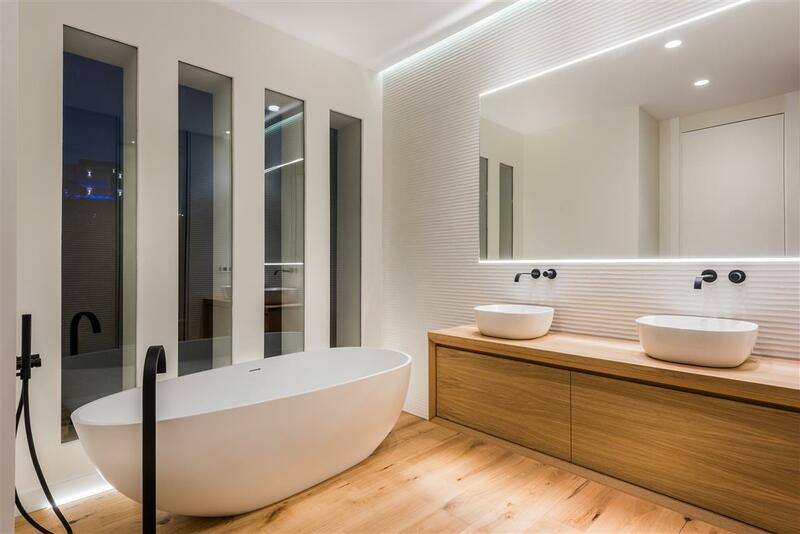 One guest bedroom with en-suite bathroom is located on this floor, as well as a separate cloakroom. 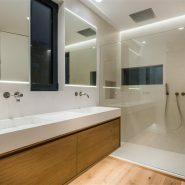 The master suite and two more bedrooms are on the top floor with direct access to the terrace with Jacuzzi, solarium and outdoor shower. 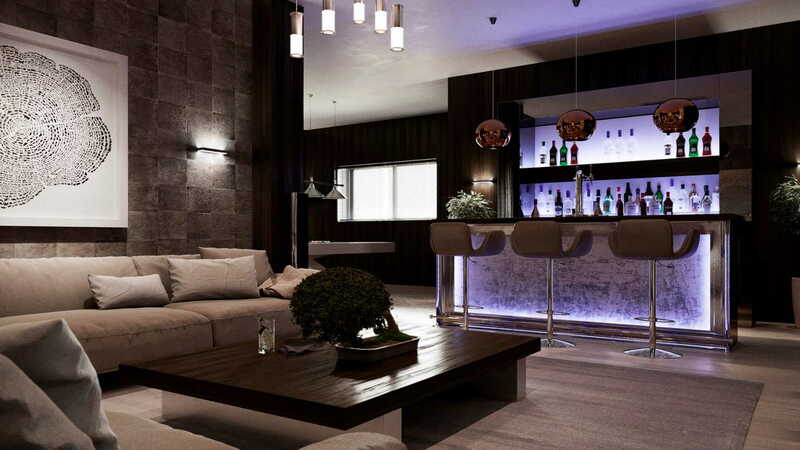 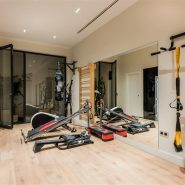 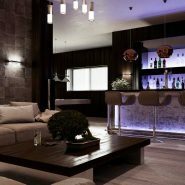 The lower level features a guest bedroom en-suite, gym, sauna, steam room and entertainment area with home cinema and games room options. 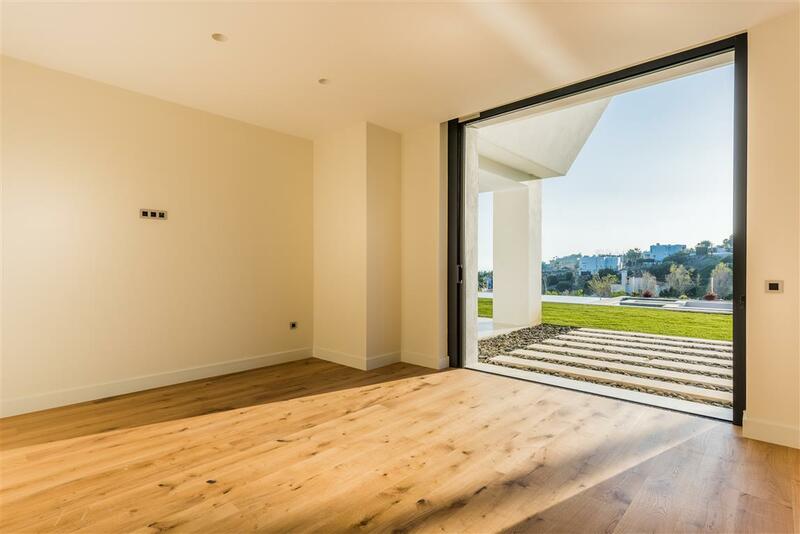 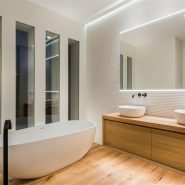 Some of the features special to mention are the garage for three cars, hot and cold air conditioning, underfloor heating throughout and surround sound music system. 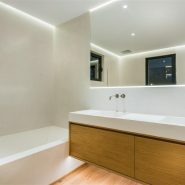 Photo’s used are random pictures, property is sold unfurnished. 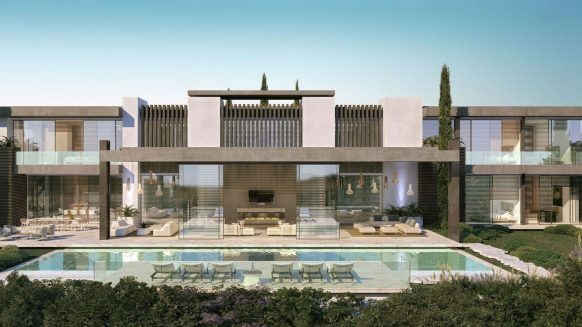 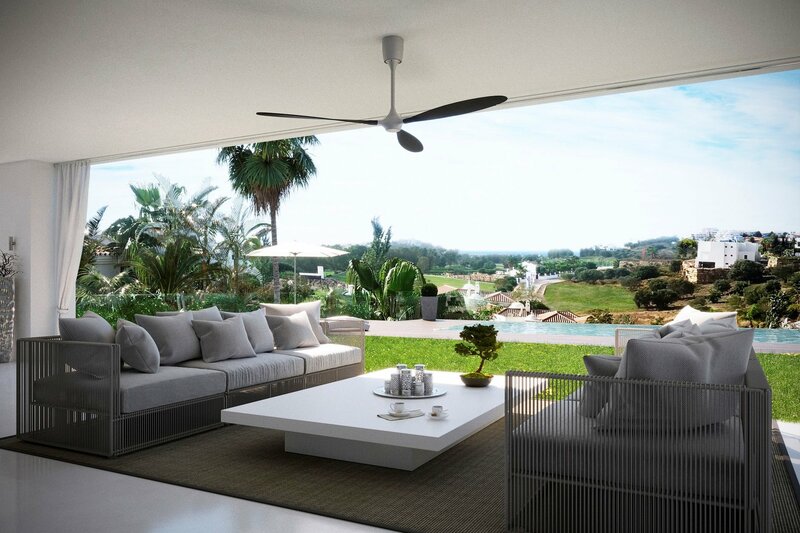 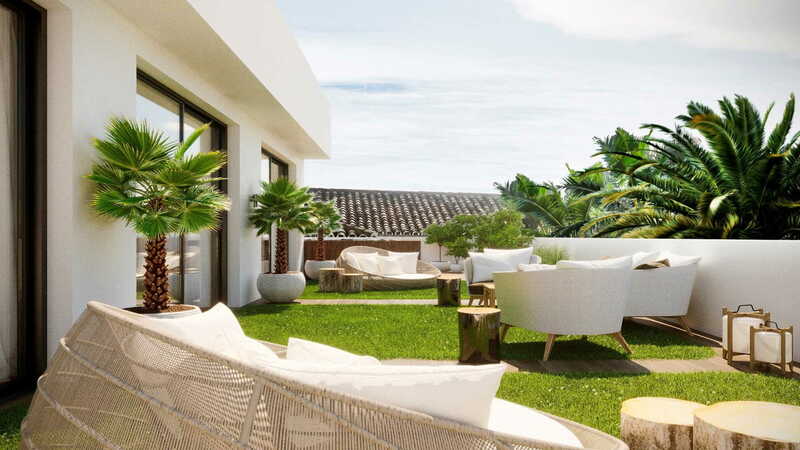 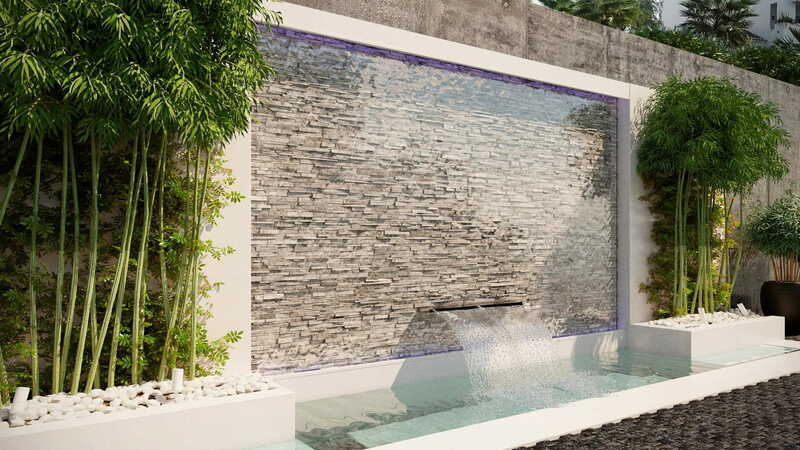 La Alqueria Atalaya is a new luxury up and coming residential zone in one of Marbella’s well known areas Benahavis. 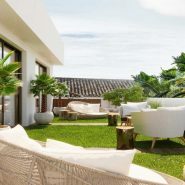 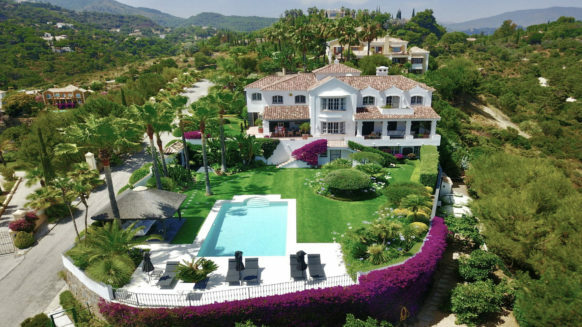 Halfway between the coast and the charming village of Benahavis, just mintues from the bustling Puerto Banús and Marbella. 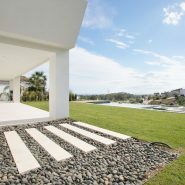 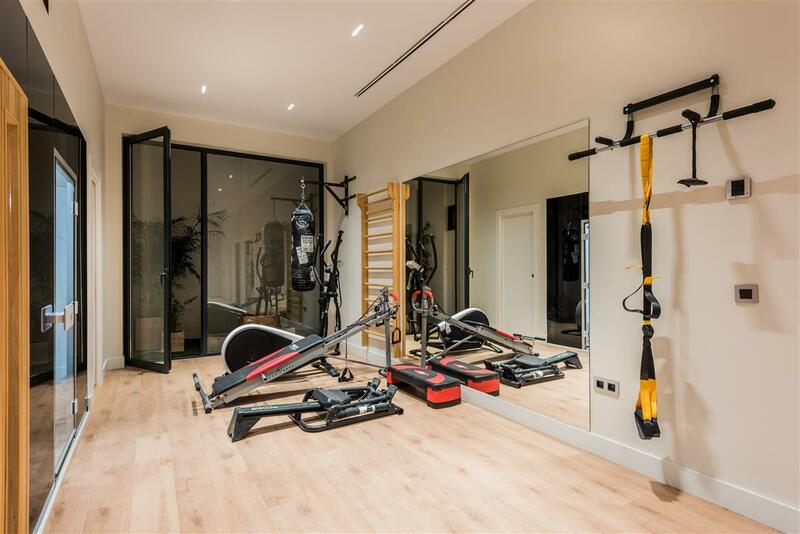 La Alqueria gradually transforms into a villa suburb, close to all coastal amenities the area has its own conveniences, eg a supermarket, a bilingual international school and excellent golf courses close by. 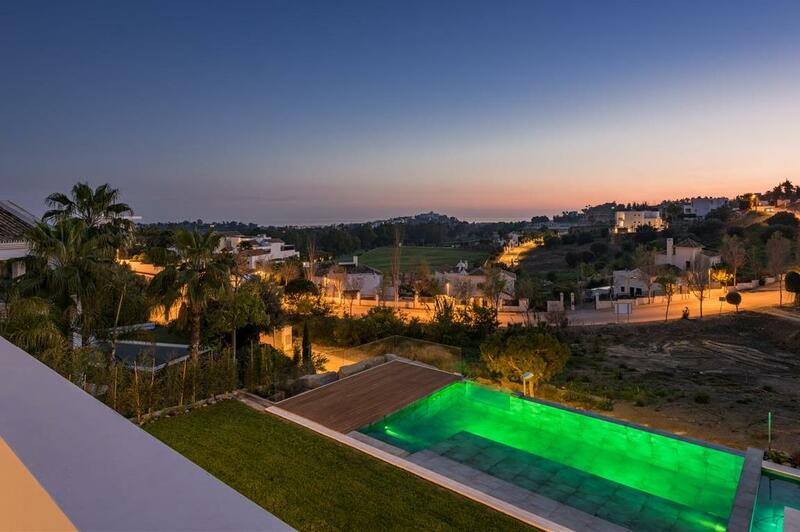 Properties and land in La Alqueria are very much in demand. 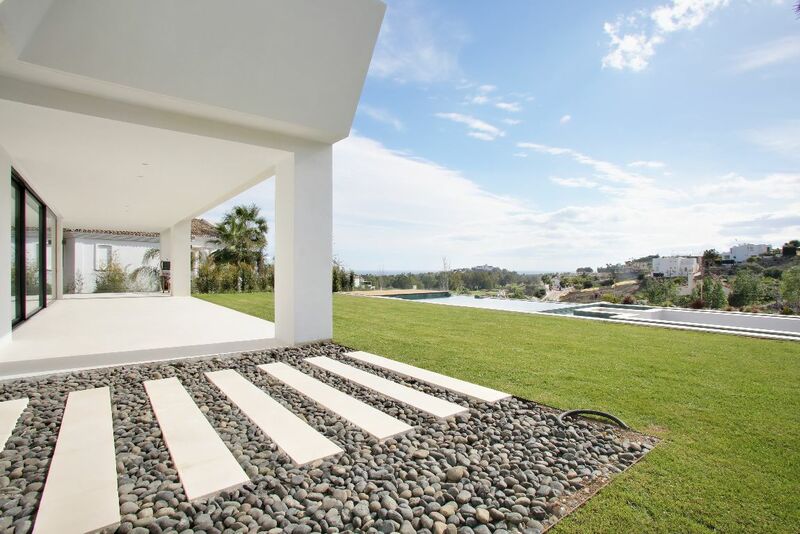 Available plots to build your own dream home to enjoy the striking sea and mountain views and also be located close to Marbella are few and far between.